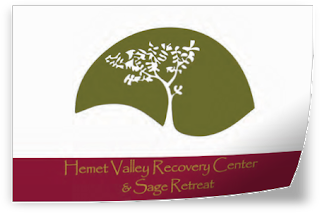 Hemet Valley Recovery Center & Sage Retreat Blog: What Is PTSD and How Is It Treated? What Is PTSD and How Is It Treated? Post-traumatic stress is a mental health disorder in which a person has difficulty recovering after experiencing or witnessing a traumatic event. It’s estimated that 7.8% of Americans will experience post-traumatic stress disorder (PTSD) at some point in their lives, and approximately 5.2 million Americans experience PTSD during the course of any given year. Re-experiencing symptoms: Flashbacks accompanied by a racing heart or sweating, nightmares and frightening thoughts are characteristic of this type of symptom. They can be brought on by a person’s thoughts and feelings or triggered by anything that is a reminder of the traumatic event, such as words, people or objects. Avoidance symptoms: A person may alter his or her routine to avoid particular triggers, such as people, places, objects or situations that serve as reminders of the traumatic event. For example, a veteran may stop watching news coverage of combat scenes. Arousal and reactivity symptoms: Instead of being triggered by something, reactivity symptoms, such as insomnia, hypervigilance and angry outbursts are constant and can make it challenging to function day-to-day. Cognition and mood symptoms: These symptoms can be brought on or made worse by a traumatic event. Having trouble remembering significant details about the traumatic event, negative feelings about oneself and the world, distorted emotions like extreme guilt, and loss of interest can make a person withdraw from family and friends. Anyone can develop PTSD at any age, but not everyone who lives through a traumatic event develops PTSD. It’s not clear why some people get PTSD and others don’t. According to the National Institute of Mental Health, most people won’t. Like most other mental health problems, however, it is likely caused by a combination of stressful experiences, a person’s temperament, a family history of mental health issues, and how the brain regulates the hormones and chemicals released by the body in response to stress. Because PTSD affects everyone differently, the treatment that is effective for one person might not be sufficient for another. The main types of treatment for those with PTSD include medication, psychotherapy or a combination of both. Psychotherapy, including cognitive behavioral therapy, exposure therapy and eye movement desensitization and reprocessing (EMDR), is the primary form of treatment for PTSD. Antidepressants and anti-anxiety medications are also commonly prescribed. You can’t forget the memories of a traumatic experience, but effective treatment can help you gain control over your life by eliminating or even reducing the extent to which those memories trigger symptoms. Hemet Valley Recovery Center’s specialized First Responders Program addresses the effects PTSD has on first responders, firefighters, law enforcement, medical professionals, military personnel and others who have experienced trauma firsthand. Every HVRC client’s treatment plan is designed to address their unique circumstances utilizes a range of therapeutic modalities to help men and women recover and reclaim their lives. We are also in-network with most major insurance providers, as well as Medicaid and TRICARE. For more information about our First Responders Program, or to verify your insurance coverage, please contact us at 866.273.0868.